There is this outstanding article from The New Yorker named The Friendship That Made Google Huge. 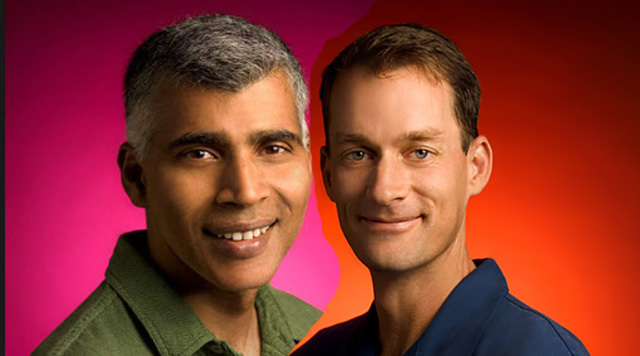 It talks about how Googlers Jeff Dean and Sanjay Ghemawat fixed code and server problems, with the rest of the team, in the early days. It goes through how the Google index was literally stale for several months and how Jeff Dean and Sanjay Ghemawat teamed up to debug it. It tells some wonderful stories and stories I think you'd all like to read. Matt Cutts, former old-time Googler, shared his own clip about how he felt the March index was cursed. He said one year, the index was built backwards because of a coding error. The story gets everything right, but brings up a lot of fond memories. Like, the March index seemed to be cursed each year? I think one year somebody reversed < and > and the index got built in reverse PageRank order? Yeesh. That was ugly. To check out that article, it is long, but worth the read when you have time.